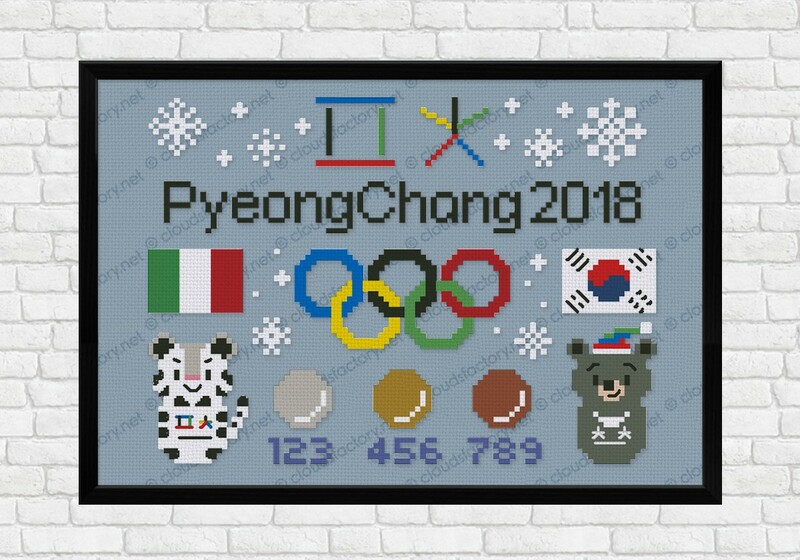 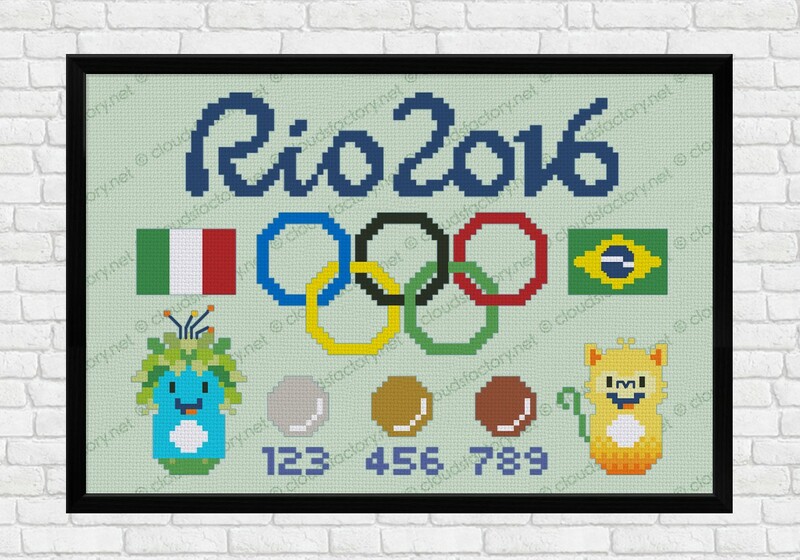 Celebrate the PyeongChang 2018 Winter Olympic Games with this cross stitch pattern! 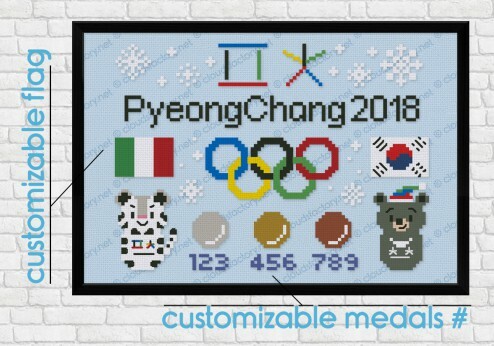 Customize your flag and the number of medals won by your Country with the customization patterns included*! 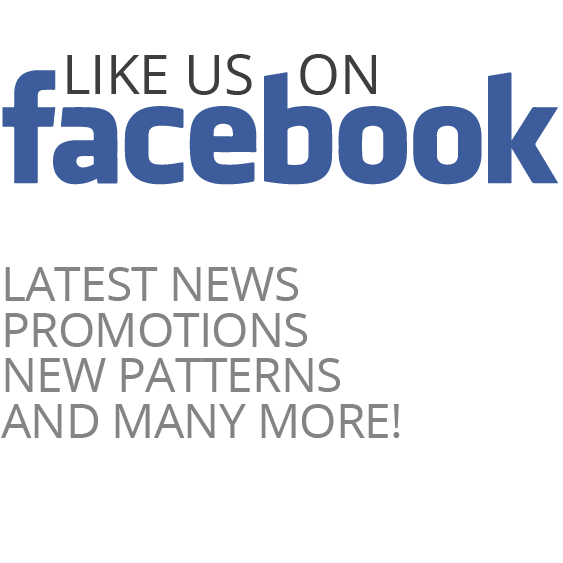 *Personalization pattern includes numbers and the outline of the flag with some guidelines. Flags not included except the South Korea one.